OK, DIY budget people! This collection of $5 DIY Christmas gifts is for you. I’ve collected a bunch of gifts that you can make easily and on the cheap. These are great for neighhbors, co-workers, friends, and teachers. And they are all so, so cute! But first! A quick lesson I learned the hard way. A few years back, I made this scrumptious sugar scrub for everyone in my family. And of course I put it all in gorgeous, hefty glass jars. Even with the glass jars, it only cost a few bucks for each gift. Then I went to ship these bad boys across the country and OMG THE SHIPPING COSTS. It cost *way* more to ship everything than it did to make it all. Chex Mix in a Jar – This is super tasty, so you know it won’t go to waste. Oatmeal Butterscotch Cookies – These include a printable recipe card, so you can share the cookies and the recipe. World’s Best Hot Chocolate – Not only do you have the World’s Best Hot Chocolate Recipe here, but it also comes with adorable labels to go with it. Chocolate Peanut Butter Fudge Cups – Package these up cute and your giftee will love you forever. These are dairy-free! Allergy-Friendly Chocolate Macaroons – This is PERFECT if you have friends who have kids with allergies. Pumpkin Oat Cookies – Here’s another crowd-pleaser. Apple Pom Pom Garland – This little garland feels kind of seasonal, but it’s something a teacher would put on display year-round. Mason Jar Pin Cushion – If you know someone who sews, this is the cutest. Like, the absolute cutest. I wish I had more friends who sewed just so I could make these and send them to everyone! 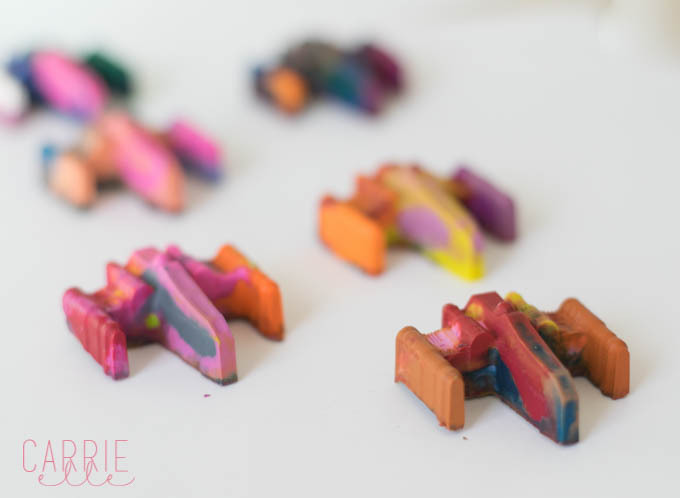 DIY Planner Paper Clips – Perfect for the planner lover in your life! And just pennies to make. DIY Planner Elastic Band – These would go great with the paper clips. But also, they can be made any size and gifted as bookmarks, too. Lush-Styled Homemade Bath Bombs – Package these up in a cellophane bag with a pretty ribbon and you have a great-smelling gift that everyone will love. Monogram Sharpie Mugs – These are SO fun…this is something the kids will want to help you make! DIY Fabric Christmas Ornament – This is a great way to use up Christmas fabric. And it’s reallllly cute! DIY Succulent Planters – She had me at succulents. These little planters are cute for herbs or flowers, too. Slime – This three-ingredient slime recipe makes a monster-sized batch. Plenty to package up for all the nieces, nephews, and kids in your life. Kinetic Sand – Just like slime…you can make your own kinetic sand! Knit Headbands – If you can sew a straight line, you can make these cute headbands. Perfect for daughters and nieces! Star Wars Crayons – BONUS: this also gets rid of all the broken crayons you have around the house. Star Wars Soap – Super easy to make and it results in cleaner kids, so what’s not to love? LEGO candy boxes – Fun for kids of all ages (and you can have the kids help you make these, too). DIY Handprint Wrapping Paper – This wrapping paper costs a few dollars – and you’ll make a ton! It’s a super cute way to wrap gifts for grandparents and aunts and uncles. Christmas Tree Name Cutouts – You need to take a look at this. I haven’t seen anything like it before. Salt Dough Handprint Ornament – I have a salt dough ornament that I helped make from 1978. So this is something that will last! Handprint Oven Mitt – Grab an oven mitt for just a few bucks at Walmart and some cheap fabric paint and you’re almost done with this simple project. “LOVE” Canvases – Perfect if you have a toddler! Handprint Mason Jar Vases – They’ll want this on display year-round. To customize your DIY gift, be sure to add a unique gift tag! Here’s a collection of cute printable Christmas gift tags. And here’s some super cute upcycled gift wrap for you. And at the end of the day, if you’d rather buy a gift, here’s a collection of teacher gifts that are $10 or less (and all recommended by teachers).